Following our latest two updates, the auto increment and notification settings, today we're launching the long awaited Fusioo Workflows. App Workflows help you save time by automating manual processes. For example, you might want to create a Workflow so that whenever a new Project is created, the Workflow will automatically create 5 related Tasks. 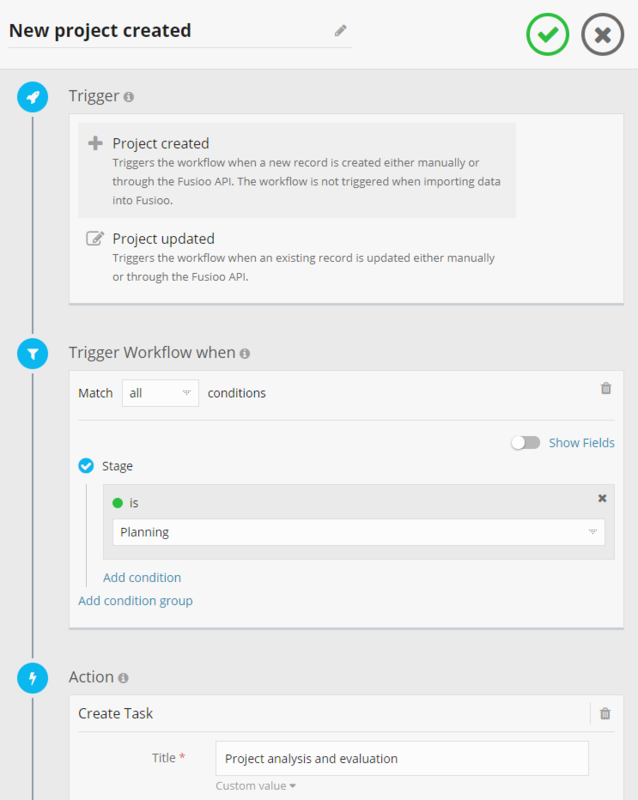 Workflows can be split into three parts: Triggers, Conditions and Actions. Triggers. These are the events which will eventually trigger the workflow - e.g. a new record has been created or a new record has been updated. Conditions. These are the required conditions that need to be met for the Workflow to execute - e.g. Automatically add Tasks to a Project when it is set as In Progress. This section is optional. Actions. These are the actions that will be carried out once the Workflow is triggered - e.g. creating a new record or sending a notification. 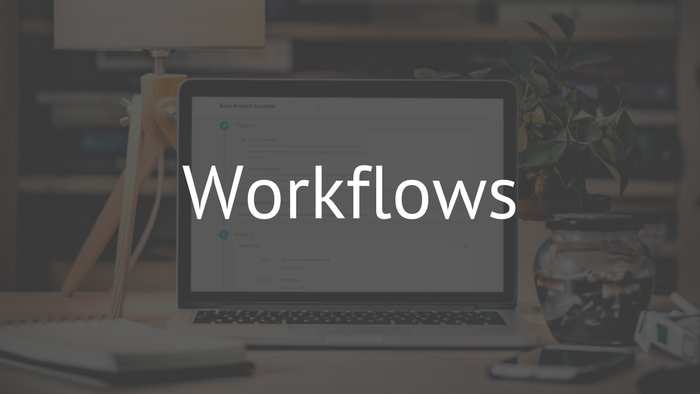 Note: For a step-by-step guide on using the new Workflows, check out the Workflows documentation. Please bear in mind that the Workflows update is still in beta. This means that we are actively seeking user feedback to improve, test and implement new functionality. 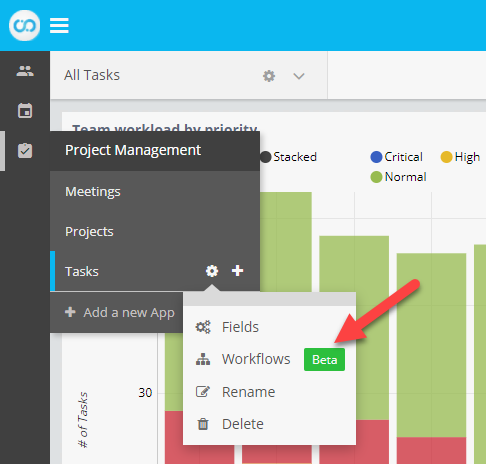 We hope you enjoy the new Workflows. We're interested in hearing your feedback. Highly requested features will be added to the already planned updates, let us know in the comments below or via email!